my imagination lives in the dark, but charlotte’s imagination lives in the forest offers intimate portraits within an exploration of light and texture, focusing on singular details to bring a heightened awareness of sensation and a distillation of time and place. 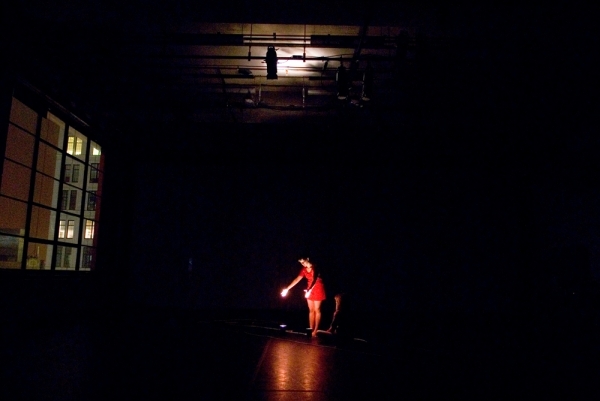 This work utilizes the unique architecture and lighting environment of the performance space. The dancers wield their own lights, at times drawing the viewer into very focused moments seeming to reveal the light emanating from within their bodies, and at other times projecting sparkling reflections across broad surfaces of the room.